The Fi will be late out of the starting blocks against Nike, which announced earlier this month it would begin selling its auto-fit shoe, the Adabt BB, next month. Michael J. Fox knew this day would come. His scene with self-lacing Nike “Air Mag” shoes in the 1989 movie Back to the Future Part II had moviegoers imaging one day never having to fiddle with laces again. The Adapt BB will automatically adjust to the changing shape of a foot during competition. 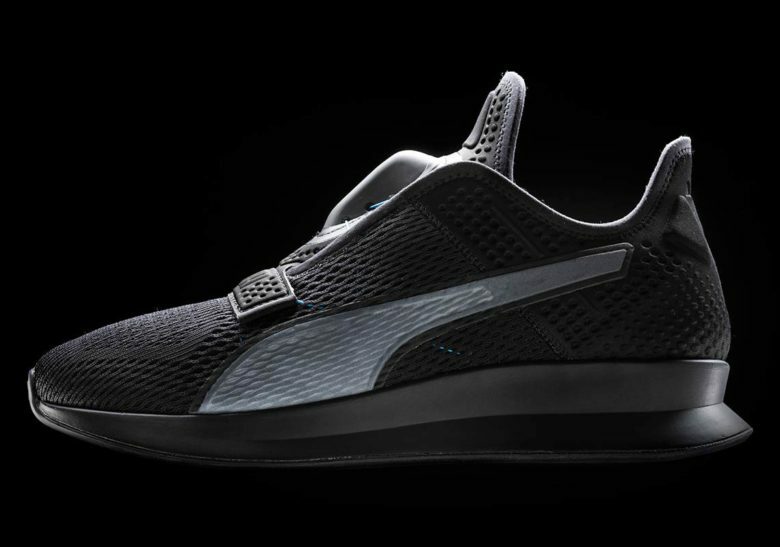 Puma’s shoe with its three levels of tightness requires the wearer engage the boxy looking micromotor on the shoe’s tongue, either with gesture or app, to make adjustments. 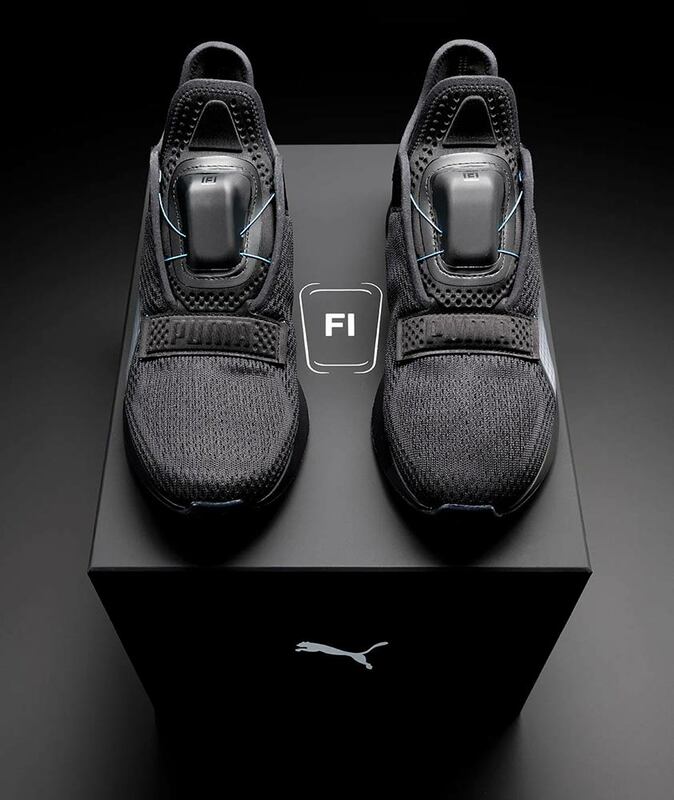 Over a short period, the Fi learns the shape of the foot and adapts for the best lockdown support, according to Puma. The brains are on the tip of the tongue. Where the Adapt BB is a basketball shoe, Puma’s Fi is considered a cross-trainer. If Puma is your brand, the company is inviting people to sign up for the Fi beta test. Just download the PUMATRAC app on the App Store or Google Play to apply. The shoes will come with a Qi-compatible charging mat and retail for $330, which is $20 less than the Nike shoe.